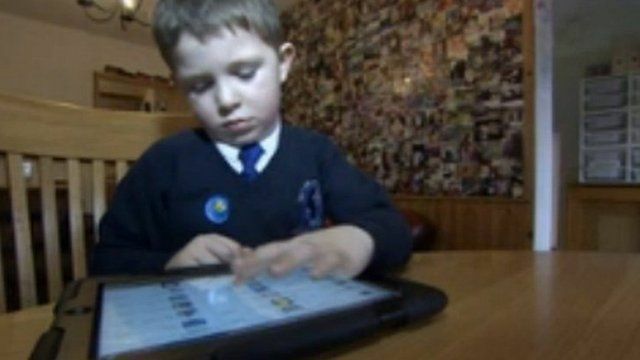 A five-year-old boy from Bristol has left his parents with a big headache after accidentally spending £1,700 on iTunes. Sharon and Greg Kitchen did not realise what their son Danny had done until emails confirming the purchases came flooding in. Apple has since confirmed the money will be refunded. The BBC's Madeleine Ware has been to meet the family.